TOOTH GERM: Special Care Dentistry..... Who do we see? My current post is within the Community Dental Services in East London. The Community services have changed even since I had outreach clinics during my undergraduate years; so who exactly am I seeing? Our Community Dental Service serves the special care patients of City and Hackney and Tower Hamlets. Patients can be self-referred in some cases or are referred from other health professionals. These are commonly General Dental Practitioners, GPs, Speech and Language Therapists, School Nurses etc. Patients who have HIV, AIDS or who are/have been infected with Hepatitis B or C have traditionally been a subset of patients we see in the community dental setting; however, this group is not really seen as a special care group any longer unless there are other complicating factors or they fall into one of the other groups below. I have been discharging some of these patients to the general dental services and many of them feel apprehensive about the way they may be treated in a high street dentist. It is discrimination to treat these patients any differently (we should be using universal precautions for all patients) and I am having to reassure patients it is illegal for practices to refuse to see them due to their medical status. We see adults and children with moderate to severe learning difficulties such as autism (see my post about ASD here), ADHD, patients with syndromes who have associated learning difficulties e.g. Down's. With these sort of children you often have to think outside the box about how to manage them or even attempt to look in their mouths. You also need to put yourself into the parent's shoes - is brushing their teeth twice a day actually achievable or will you have to compromise? With adults you may have the same issues as trying to treat children but also the added challenge of obtaining valid consent. In these cases you may need to act in a patient's best interest and if there are complications, involve the help of an IMCA. Physical disabilities may make access to a regular dentist challenging; this could be because the dental surgery is up some stairs or the doors are too narrow. GDPs are obliged to make reasonable adjustments to facilitate the access for these patients, but in some cases this just isn't possible. Whether this be alcohol or recreational drugs, substance abusers can be quite a challenge. They are often sporadic attenders, have rampant dental disease and other complicating social factors such as homelessness or mental health problems. You also need to consider the effect of the substance on their systemic health e.g. liver damage in alcoholics where clotting may be impaired. When I see these patients, I try to get as much done in one appointment as possible and the focus is to stabilise the disease so I usually use Glass Ionomer to stabilise their caries. We see a lot of patients who are living in forensic mental health units as well as visiting these patients in their wards. Diagnoses can vary, but common mental health problems I see are schizophrenia, anxiety and depression, Bipolar Disorder and Personality Disorders. Just because these patients have a mental health problem doesn't mean they lack capacity so you need to take things on a case by case and appointment by appointment basis. In these cases you need to ensure your communication is very clear and also be aware of your own safety: escorts are essential with some patients! Out of all the special care groups, patients or family members can self-refer themselves to the service apart from dental phobias. In these cases we need a referral from a health professional, usually a dentist. I get referred a lot of children with caries from GDPs with behavioural issues. It takes a lot of practice working with children to learn ways of management to get their compliance. In some cases it is not always possible and they require a referral for general anaesthetic or the use of inhalation sedation. But you'd be surprised how many children you can treat with acclimatisation appointments and lots of patience! To read tips about taking radiographs in children, read my previous post here. These patients are often black-listed in general practices due to their high failure to attend their appointments or late cancellations. In community, they often do the same; however, we have the capacity to be more lenient and we try to understand how their lives can be nomadic and sporadic and their priorities change. They often have other issues as I have mentioned above e.g. 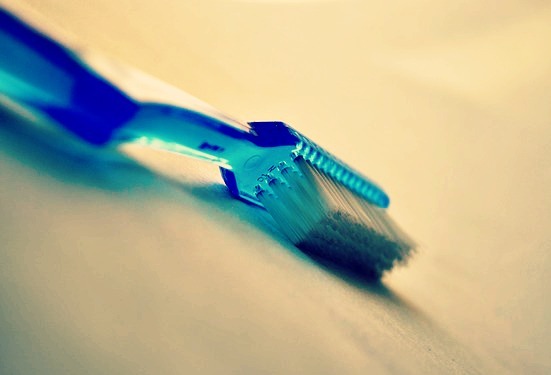 substance abuse, mental health problems and you also need to be realistic about how achieving good oral hygiene may not be possible as they may not be able to access running water. Over Christmas, I volunteered for Crisis, a homeless charity. To read about my experience, see my post here. These can be those with social problems, learning difficulties, mental health problems or those who are elderly. Most of the time, I like to see these patients and involve their carer or key worker in their treatment as sometimes involving them is the only way to get a valid history. Community is the intermediate setting before referring a patient onto secondary care so we often see lots of patients with complex medical histories. This may not mean treating them any differently to how a GDP would, but we have closer links with other services e.g. their GP or doctor. We are also more experienced in the management of certain patients for example, patients who are about to undergo heart valve surgery or those at risk of infective endocarditis, patients who are at risk of MRONJ and oncology patients. These patients may be looked after children, those who are under care or have guardians who are not their biological parents. In some cases, we need to liaise closely with their social workers (once we have consent to do so), especially if we are concerned about a child's welfare e.g. repeated missed appointments, dental neglect. To read about safeguarding, see my post here. Our service delivers domiciliary care to those who are housebound; whether that be to their own home, to care homes or to hospital wards. I am learning to drive at the moment (about time!) so I do not do this visits myself but I do have exposure to these patients on clinics. If these patients need extractions or more extensive treatment that cannot be done on a domiciliary visit, then we arrange transport to bring them to clinics to have their treatment done. When I have treated these patients, I have learnt to ask questions that you wouldn't necessarily think obvious. For example, to manage post-op pain after an extraction, if this patient is in a ward or care home you may need to write a prescription for them as their carers may not be able to give them pain relief otherwise. Overall, managing these patients can be challenging but I really enjoy the lateral thinking that comes with their treatment and management. As you can see, a lot of the time a patient may belong to more than one special care group. With community dental services being re-commissioned and evolving we are seeing more and more complex patients within the service. For me this means I need a good night's sleep after a day packed full of challenging, but stimulating clinical situations! Do you work in special care dentistry or community? Let me know your thoughts on special care groups in the comment section below!